Syndicate Lofts – Andre Roodhooft…13 Times King and 6 Times Emperor Of The Union Antwerp! Home › The Duif Chronicles › Andre Roodhooft…13 Times King and 6 Times Emperor Of The Union Antwerp! Andre Roodhooft…13 Times King and 6 Times Emperor Of The Union Antwerp! 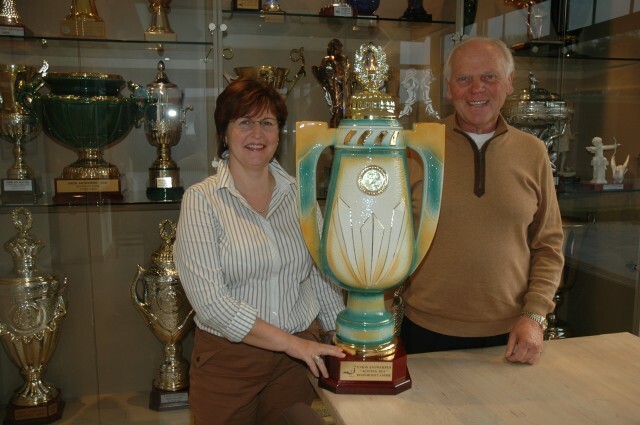 Anette and André posing with last year’s Union Antwerp trophy. 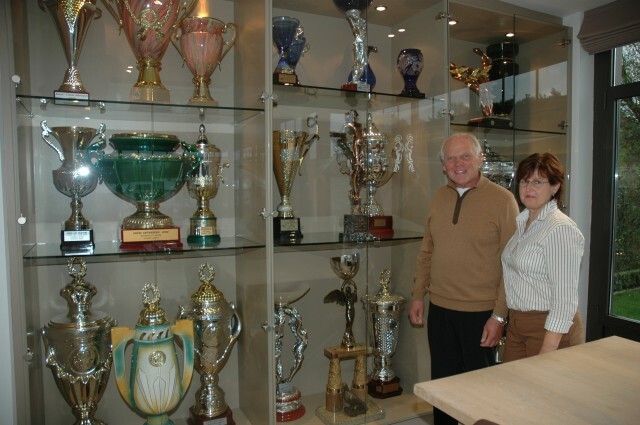 But when the prizes for 2012 are collected, the trophy cabinet will certainly need to be extended. 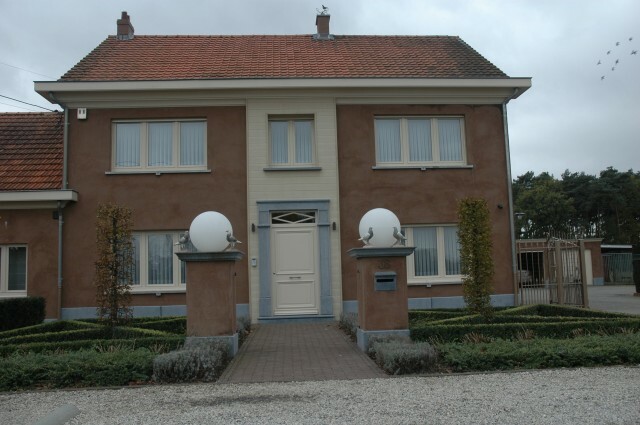 Pulderbos, Belgium – The record of 11 king titles in the Union Antwerp had stood for decades! 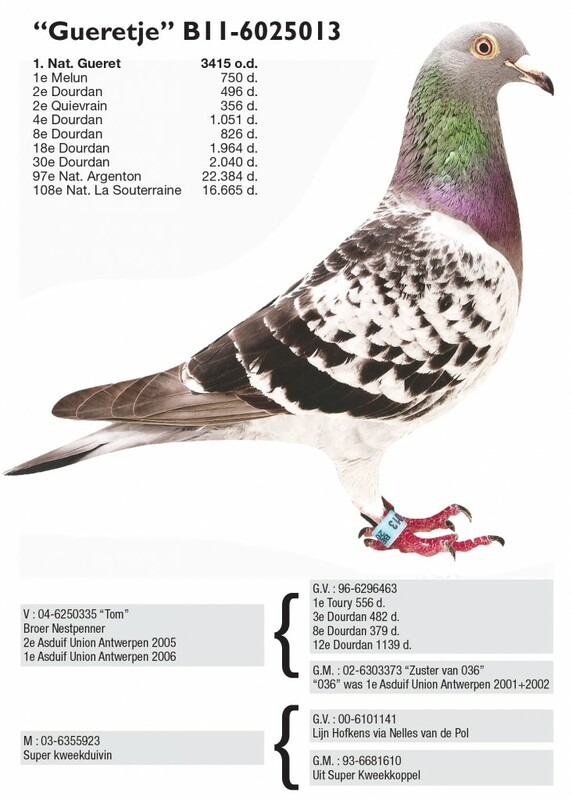 Many famous names tried in vain to beat this prestigious record in the pigeon sport of Antwerp. Insiders were fairly certain that it would never be matched again! But that was then! Meanwhile, the record has been relegated to the wastepaper basket for some time. Last season, André Roodhooft (66) won his 12th King title… and this season, he has collected number thirteen… and also put his 6th Emperor title on the Union charts! “Don’t ask me why 2012 was such a super year for me… I have no explanation. Everything just went better than other years… it all went automatically. The pigeons trained without effort… I hardly needed the flag… they were sooner in form and stayed in form during the whole season. I use a minimum of medication, but notice immediately when something is not right. When I suspect there is something wrong I will give antibiotics for two days against bronchial diseases straight away. It really is very straightforward… coccidiosis and worms are just not allowed in a good loft. 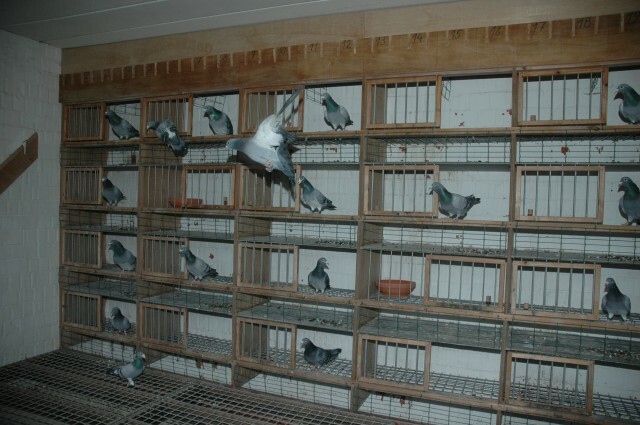 Paratyphoid is manageable… the pigeons are treated after the season… sometimes followed by inoculation. Trichomonas is kept under control by most fanciers. When something is wrong, it is almost always head illnesses or bronchial infections. Lots of oxygen in your loft is certainly a must. Every loft has ‘detectors’… or: pigeons that will show the symptoms first. Pigeons that won’t exercise well anymore… birds that sit a bit hunched up… pigeons without much form… these are the ones you have to watch. When such a ‘signal’ shows you must immediately react adequately and any hesitation could be fatal. I am certainly not in favour of ‘blind treatment’, but you can’t do without treatment altogether. There is never a year that I don’t have to ‘act’ about three times… and more often with the young pigeons than with the older birds. Throughout my entire career I have kept a diary about the everyday happenings … what I see…and how I react. I often look through my notes and try to do the same things in the build up to successes in the past. 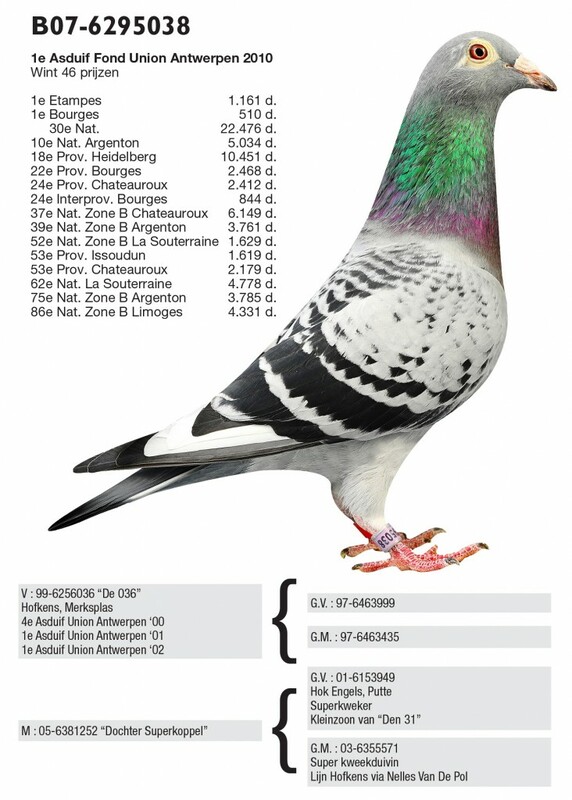 In 2011, I had the first seven with the young pigeons in St. Job… and my seventh young pigeon classified itself as 106th in the national results. I meticulously followed the same preparation as the year before… but this year’s race became the worst of the 2012 season. I often notice that when I have high expectations, it usually disappoints. It is difficult to find a constant line in the pigeon sport… you must have it in your fingers… and especially, you have to be able to judge and to assess. I still remember Lou Wouters from Gravenwezel… a fancier who, as far as I know, has never lost any money in his entire career. A fancier who had a ‘good eye’ for a pigeon in the hand. You shouldn’t talk with him about medicines… eye sign… or the circle of correlation… that was all Latin to him. But when you raced against him at the weekend, you knew how things should be done. A lot of fanciers are strong in theory… but can’t hold their own in practice. 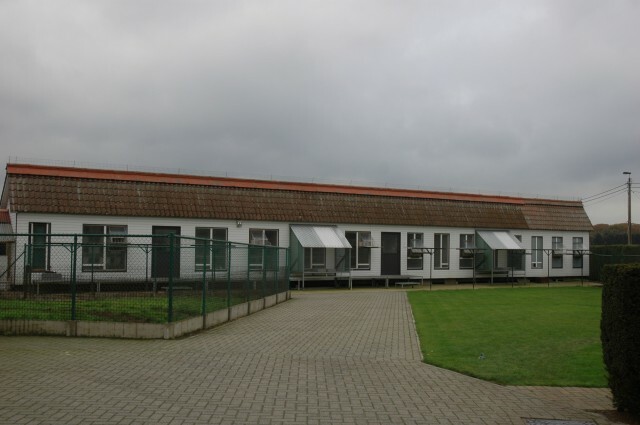 Approaching the home of the family Roodhooft, ‘the pigeons’ are already welcoming you. 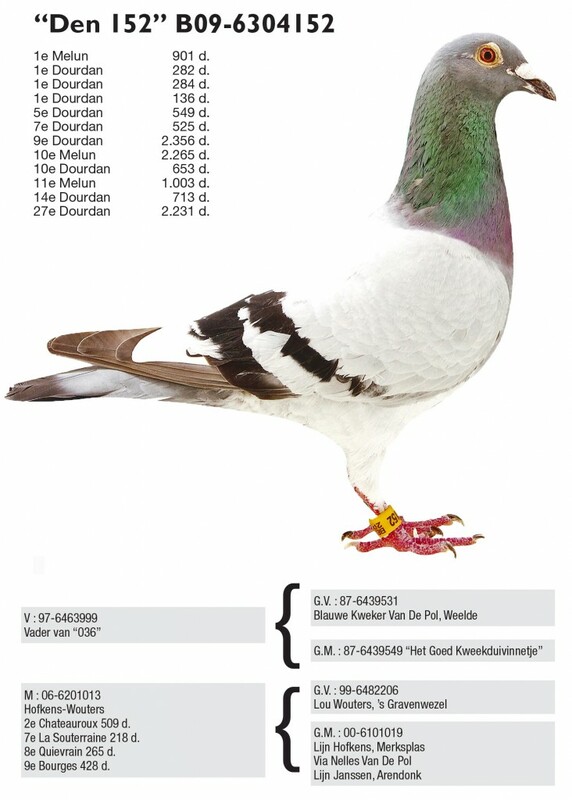 The career of André Roodhooft… pigeon chronicler by the grace of God… and figurehead of the provincial and national pigeon sport, has already been laurelled on every level! Yet, in all those years, his track record still showed one void. But that was changed this season, when in the final national race from Guéret, he triumphed very convincingly against 3,415 old pigeons. And was he happy about it? “I had already been very close a few times… 2nd national Bourges… 3rd national Bourges… 1st semi-national… but that final bit of luck kept eluding me. In the race from Guéret, all the pieces fitted perfectly and my ‘Guéretje’ brought me the first national victory of my career. It was one of the best moments of my career… especially when the following morning I received the happy news that I had become King of Union Antwerpen for the thirteenth time. “With this victory, I have certainly accomplished one of my main objectives. But this national success will not diminish the motivation with which I start every new season. I am still highly motivated… I still want to win… albeit in a different way than before. Through the many years in the pigeon sport, the skin of my soul has hardened a bit. In the past when a pigeon was lost, I was sick. That is different now, although I am still sorry to lose a champion. I try to keep matters much simpler than in the past because a lot of the laws in the pigeon sport exist only in the heads of the fanciers. Where once everything was organized to the last detail and all things had to be done by the book… I have now moved away from that. I still drive a few times a week to the breeding station… taking my late young… and there I release them from the ‘wrong’ direction. In the past that was against all rules… now it is done without any problems. I also don’t have a website… I don’t advertise… I only want to race well with my pigeons. That is the bottom line! André very much likes to win lead prizes, but still prefers to make a selection of his pigeons on the basis of regularity. That works out well for the championships, as was the case in 2012. The championship for old pigeons is raced with the four first nominated pigeons over 12 races. Of the 48 possibilities, his four first nominated pigeons won 45 prizes with 4 times a 1st prize. This certainly can be called an example of regularity. “A young pigeon must at least fly 60 to 65 percent prizes… with early lead prizes, but in particular with regularity. I had a young pigeon that twice won a 1st prize at the beginning of this season, but which after that only performed irregularly. Such a bird has to go because it disturbs the regularity. No confidence in grain and water! “It wouldn’t be very realistic to claim that in the present pigeon sport, you can still hold your own with only grain and water. But it is a fact that you can race successfully with only a minimum of medication. Some fanciers overdo it… but I am convinced that lofts that are at the top for years are not giving too many powders and pills! The best seasons of my career… I have achieved these without going overboard with medication! The old pigeons came out of the aviary around the 20th of March… there was no early pairing… they were coupled on the 1st of April… and after sitting for five days, widowhood started. From the moment they came back into the loft until the end of the season, they didn’t get pure water for one single day! Every time I added a tablespoon of Naturaline and a tablespoon of apple vinegar to one litre of drinking water… other than on days when there was medical treatment or when they got vitamins. From the 20th of March there was a 7-day treatment against trichomonas… and thereafter every two to three weeks supportive treatment against tricho for 1,5 to 2 days. Many thousands of pigeons have gone through my hands during my career in the breeding station… that is an immense advantage… and I now notice very quickly when the fitness lessens. Because the fancier who allows trouble to flourish too long has a good chance of not getting the train back on the rails for that season. As said before, it is mainly the bronchial infections that are the culprits. Yet still no systematic approach to the ‘head illnesses’… but more by instinct as a fancier. This usually meant some 2 to 3 times per season a few days’ treatment with the combination ‘Ornisol’ and ‘Belga Tai’. Worms… coccidiosis… and trichomonas are under control by most fanciers. When a problem does occur, you can with almost a hundred percent certainty say that it will be situated in the head or the respiratory tract. With warm weather and a difficult race, the bronchial tracts have to be clean; otherwise it will certainly end in failure. On Tuesday I give vitamins and sedochol in the drinker… and on Wednesday and Thursday fresh garlic + Naturaline + apple vinegar. I do about the same with the young pigeons… but the squeakers I treat one more time against bronchial infections. But in the pigeon sport it is almost a natural law that a season with a minimum of medication is usually a top season for performances. And another thing… garlic has the same benefits as antibiotics! Believe it or not… with fresh garlic in the drinking container you will get a top form in your loft! 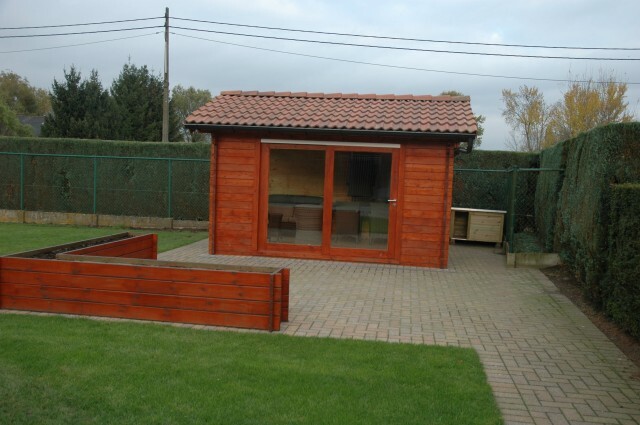 “Of the 20 pairs in the breeding loft there are 30 pigeons that have flown well… many ace pigeons… many lead prizes. The rest are sisters and brothers of these pigeons. In my breeding loft there is ‘controlled free pairing’, but I try to avoid too close inbreeding. Good breeding couples stay together for the rest of their lives… the others get a new partner every other year. When they don’t produce any good offspring for two years, they are eliminated. A pigeon without a good shape will also never make it into the breeding loft. And yet… although this a severely selected breeding loft… relatively, not many good pigeons are born. Couples that produce only good pigeons… I don’t have any in my breeding loft. Simplemente espectacular,todo un maestro en colombofilia. Soy un seguidor y un admirador suyo .